Looking for the perfect gift? 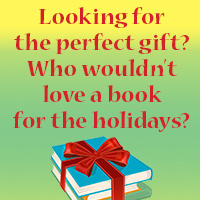 Who wouldn't love a book for the holidays? Gently used children young adult, and adult books, including some really nice children and young adult book sets, antiquarian books, DVDs, CDs, and audiobooks will be sold. All proceeds benefit the Friends of the Scotts Valley Library.